Top website designing company in Mumbai | Web Development company Mumbai, V4WEB. Inside-outside stories, news, happenings, gossip... show offs too. Protecting children from online sexual exploitation & abuse. 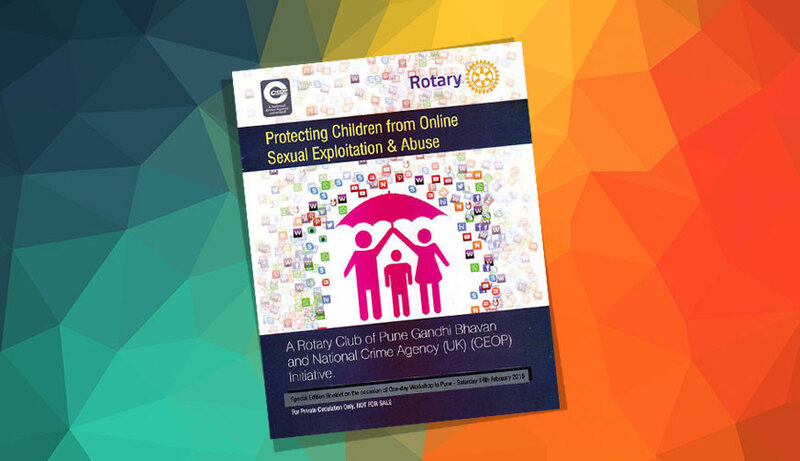 Proud to inform that our director Nirali Bhatia was a distinguished guest at an event "Protecting Children from Online Sexual Exploitation & Abuse" organised by National Crime Agency, UK and Rotary Club, Pune. Her article "Protection of Children from Online Sexual Abuse" has been published in a Special Edition Booklet. The event was sponsored by Tata Consultancy Services and chaired by well known Cyber Lawyer Adv. Vaishali Bhagwat. Please find her article below. V4WEB is proud of Nirali. It's a proud day for all at V4WEB.